The US is the world’s largest soybean producer, and Illinois is the top soybean-producing state, growing more than 690 million bushels in 2018. 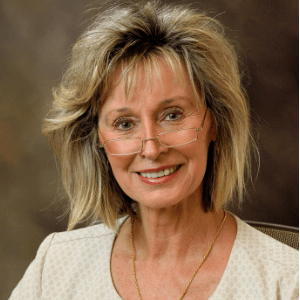 We interviewed the Illinois Soybean Association’s Director of Ag Innovation and Technology Transfer, Linda Kull, PhD, to understand how ISA connects its producers with breakthrough technologies. The Illinois Soybean Association represents more than 43,000 producers. As a major influencer, what are the association’s strategic priorities around sustainability and technology innovation? When it comes to sustainability, our producers have made great strides in reducing their footprint in recent years, but ISA always supports continuous improvement. We export 60 percent of the soybeans we grow, and globally, buyers are putting more emphasis on environmental impact. Better quantifying resource efficiency is an area of great interest: it involves the convergence of weather data, genetics and variety selection, remote sensing, nutrient modeling, and a suite of in-field precision Ag tools like variable-rate applications. 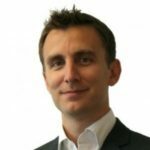 What does ISA see as its role with R&D funding, and what do you need to strengthen that ecosystem? 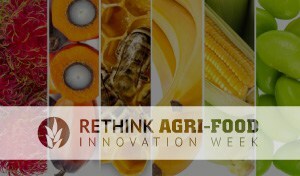 Developing novel solutions for agriculture requires more than just a field day. Improving the feedback loop between technology companies and farmers is a role we can fulfill. Developers spending a day on a farm and then flying back to California doesn’t begin to satisfy the information needs for either the farmer or the technology. To help tighten the loop, we’re creating stronger, structured opportunities for two-way input and feedback between farmers and tech providers. In a recent conversation I heard the term “convener,” and I think that’s an apt description of a role for ISA. We know the producers are meeting the venture capitalists and tech companies. Bringing the right combination of talent and personalities together and supporting those relationships will increase the likelihood of adoption and implementation of a successful innovation. Raising awareness will be a key to strengthening the opportunities for entrepreneurs and tech start-ups in the state. If Illinois were a country it would be the fourth largest soybean producer in the world. We have on-farm capital and infrastructure. If a new row-crop technology is going to be relevant, it has to be relevant in Illinois. We also consider it one of our primary roles to ensure that the soybean producers in the state share in the value of the technologies they help bring to market. We’ll be successful for our producers when those producers share in the value created by technological advances, alongside the tech companies and venture capital that helped bring that tech to fruition. Your members range from large farms to small large farms, at all stages of tech adoption. What challenges and opportunities does this offer, particularly for start-up technology developers and investors? The reality is the millions of soybean acres Illinois is projected to plant in 2019 are far from homogenous. Soybean producers have different row-crop needs, different farm practices, different financial priorities and differing levels of ability and interest in investing in technology. The good news is this diversity provides broad testing platforms. Often the challenge is the ability for tech companies to service and support the producers they need to engage. Many have no established dealer or Ag retailer partner, and even if they do, it’s unlikely any of the staff are fully versed in the new system. The opportunity comes by identifying and working with early adopters. These early adopters have experience with and learned from multiple engagements with many successful, and not so successful, tech start-ups. They help companies early on, identify information and support producers need to be successful, and accelerate development schedules while avoiding what producers can see are obvious pitfalls. 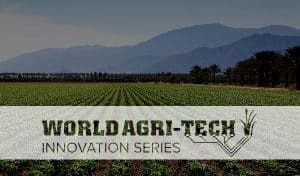 One such producer is Steve Pitstick, our ISA panellist for the upcoming World Agri-Tech Innovation Summit in San Francisco. Steve has a 2,500-acre soybean and corn farm near Maple Park, Illinois, about 60 miles west of Chicago. His development experience includes early work with companies like Precision Planting, 360 Yield Center, Farmers Business Network and Climate Corporation. Recently he served as a contributing Research Partner for developing and advancing FieldScriptsSM. Connecting with Steve and others like him more quickly get tech companies to an understanding of what their concept must do to tie to a farmer’s bottom line. What are the biggest challenges in connecting innovative solutions to your growers? Of those that are succeeding, why are they succeeding? Noise. There are so many companies crowding into Ag (and Food) and so many promises being made that it’s starting to fatigue producers. The concept or innovation may be interesting, but presented in such a way that the producer has to do an evaluation to uncover the bottom-line value to the farm versus having that information obvious and upfront. For successful adoption, a clear path to seamless implementation and profitability is the key driver. Independence: Farmers are used to being “the buck stops – here” decision-makers on their farms, and navigating new decision-support tools can be tricky, at best. The downside case for a farmer relying on a tech recommendation can be significant, but what’s the cost for the tech company getting their recommendation wrong for that field or farmer? Having a well thought through understanding of risk sharing or risk transfer is required for success. Infrastructure. Tech companies consistently underestimate the costs involved in building relationships, training technical specialists and selling in costs and services. Farmers are not a consumer market. They’re B2B, and a widely diverse B2B market at that. Timely, appropriate levels of infrastructure investments are key. Experience. Many of the tech companies that are succeeding are doing so because they have had meaningful Ag expertise on their founding teams. They understand the need to invest heavily in the sales support in farm country. Their business model pairs a bottom-line business return with a high-touch sales approach. Which emerging technologies should be prioritized for investment to scale and support your growers and network? I’ve mentioned this earlier, but we prioritize technologies that redefine our value chain. Producers get squeezed. They sell into a value chain where the price of their beans is already determined and input costs change depending on the health of the market. For margins to go up, we need to help producers directly negotiate the price on their beans and have more options for input sources. Like other businesses, farmers want to reduce their risk. There’s also alignment on accelerating adoption of technology, including genetics, that improves sustainable production. Farmers know their livelihood depends on taking good care of their ground and water. Being able to document improvements in sustainable soybean production satisfies our producers’ desire to be good stewards, and also satisfies customer and brand requirements targeting more eco-friendly consumer products. Finally, concepts that make data work harder for producers should be fast-tracked. Research and development for row-crop genetics is highly advanced. We need the digital and data side to catch up. 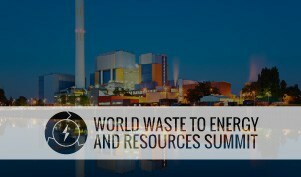 Actionable, real-time information saves time and money, and improves field performance. Having that type of information at their fingertips is the future for soybean producers. 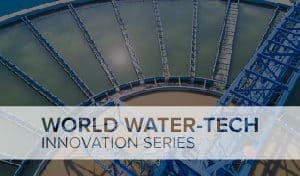 Linda and a number of ISA representatives will be at the World Agri-Tech Innovation Summit to talk about opportunities with summit attendees. 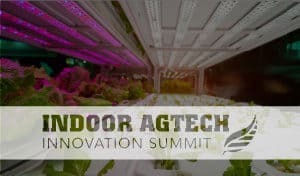 Steve Pitstick, whom Linda mentioned, will join the Fireside Chat at 12:30 p.m. on Day 2 of the summit with the topic: Growers are at the Front Line of AgTech Innovation. What is Their Experience of Using Technology and How Can Start-Ups Better Navigate the Adoption Process? Visit www.ilsoy.org or follow them on Facebook, Twitter, Instagram, YouTube and LinkedIn.